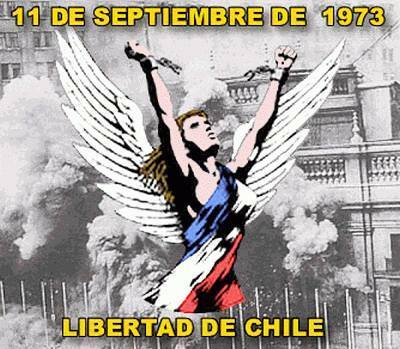 E faz hoje exactamente 40 anos que o grande General Augusto Pinochet libertou o Chile das garras do comunismo!!! Serás sempre recordado com profunda saudade! Nota: Alan Greenspan no seu livro de memórias, A ERA DA TURBULÊNCIA, dedica um capítulo a desgraça que é a demagogia e populismo do México à Patagônia. Ele se pergunta como é possível tanta incompetência em economia, incompetência essa que joga a inflação a milhares por cento ao ano…. “I think that a lot of reforms have been made. Now, the question is, can domestic economies—can Henrique do things that would help this? Chile had a capital control system that worked pretty well, to try to regulate radical movements of money in and out of the country. But the only reason it worked well is, Chile had a system that was recognized as having integrity and effectiveness, so that people still wanted to put their money there even if there was some control on how rapidly it could move in and out. The same with Malaysia in the Asian financial crisis— people thought you could make money in Malaysia, so they would put up with the capital controls. On the other hand, if when the Russians tried to control money—even the Russians were sending money out of Russia, in record amounts, because they didn’t believe at the moment that the system would work. So should we continue to reform the IMF and the World Bank and the multilateral development banks? Absolutely. But we should not minimize the fact that you’ve got to move a lot of money around every day. Second thing: domestic systems matter. Governments have to have good, honest financial systems, because you can’t make people put their money in a place they don’t want to spend it, and you can’t make people keep their money in a place they no longer have confidence in. And governments have to have greater capacity; this is something the old—the so-called old left and the new left ought to agree on. Why is Uganda the only country in Africa that can drive the AIDS rate down? How can—why shouldn’t we be out there promoting a system where once a country in a developing area of the world solves a problem we more speedily make sure that is done everywhere else, and we help people do that. I mean, just—AIDS is just one example, but, I mean, it’s convulsing African countries—but here’s Uganda proving that you can get the rate down, and, oh, by the way, they have economic growth at 5 percent or 6 percent a year. The third thing is, what are we going to do to help? money making interest payments—they can’t even pay off the principal. They’ll never be able to grow, and they have no money to buy our products. So the G–8 initiative on debt relief is right. We should do that. Two, we ought to vigorously support economic impowerment initiatives that work in developing nations. I have been in Sao Paulo and Rio, two of the largest cities in the world, two of the most wonderful places on Earth. 11 de setembro de 1973: Há exatos 37 anos – Augusto Pinochet mandava o comunista Salvador Allende para o inferno! 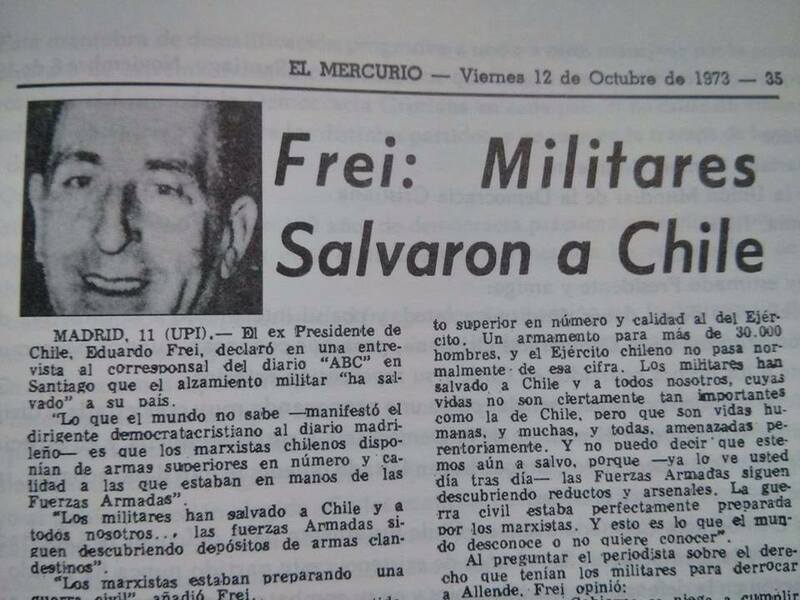 Publicado em américa latina | Comentários desativados em 11 de setembro de 1973: Há exatos 37 anos – Augusto Pinochet mandava o comunista Salvador Allende para o inferno!